A delicious series for young readers ready to move on from picture books. There's 'magical' baking fun to be had in Grandma's kitchen, where any problem can be solved. When Lily doesn't think she's invited to her best friend's Halloween party she gets very upset. Grandma knows it's all a misunderstanding and luckily the 'magical' jar has just the right recipe to fix things - Friendship Fudge! 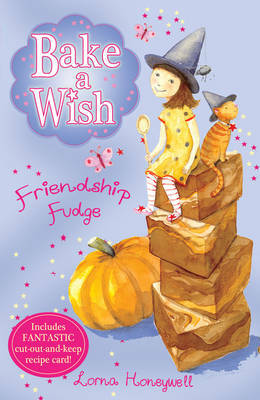 Includes a collectable, cut out and keep, recipe card so readers can bake just like Lily and Archie.